In telecommunications, an antenna (singular) or antennae (plural) is simply defined as an electrical device that transmits or receives electromagnetic waves through the air. The first man-made antennae was invented by German physicist Heinrich Hertz in 1888 and its development led to wireless communications across the world. 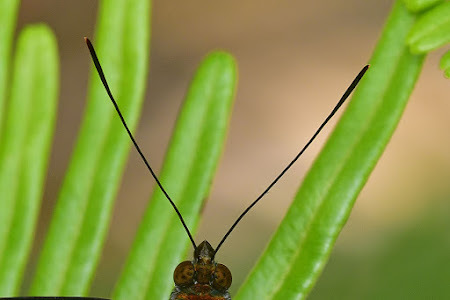 In the natural world, the antennae is a pair of long, slender, segmented structures on the head of insects, centipedes, millipedes, and crustaceans. 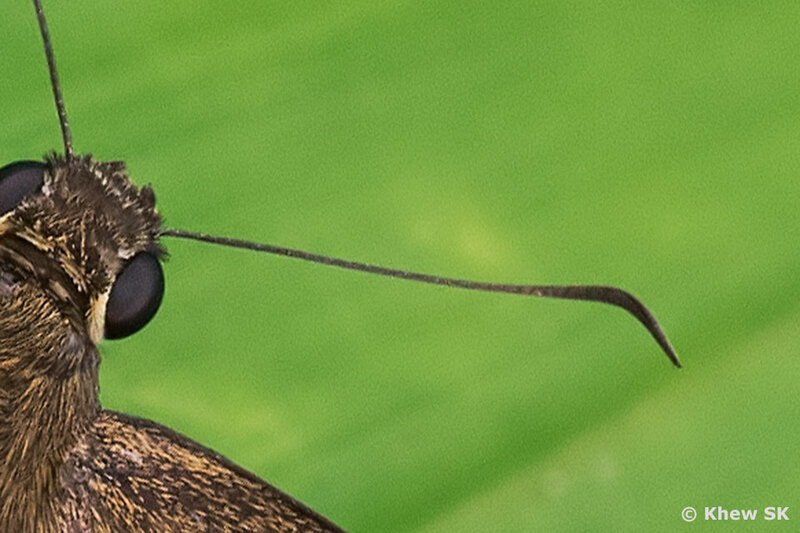 Most antennae are organs of touch, but some are sensitive to odors and other stimuli and are believed to serve the functions of smell, navigation and balance in butterflies. All butterflies have a pair of antennae. These appendages are connected directly to the butterfly's head and are always clubbed. 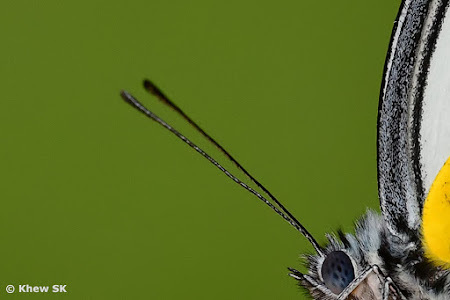 The clubbed antennae are usually used in a "non-scientific" way to distinguish between butterflies and moths. In general, moths have curly, feathery, thin antennae. However, there are some moths, including some genera in the family Zygaenidae (Burnet Moths) and Castniidae (Cane Borers) that have distinctly clubbed antennae like butterflies. 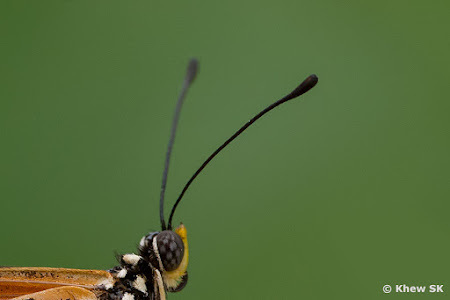 The butterfly's antennae originate from the top of its head and between the eyes. 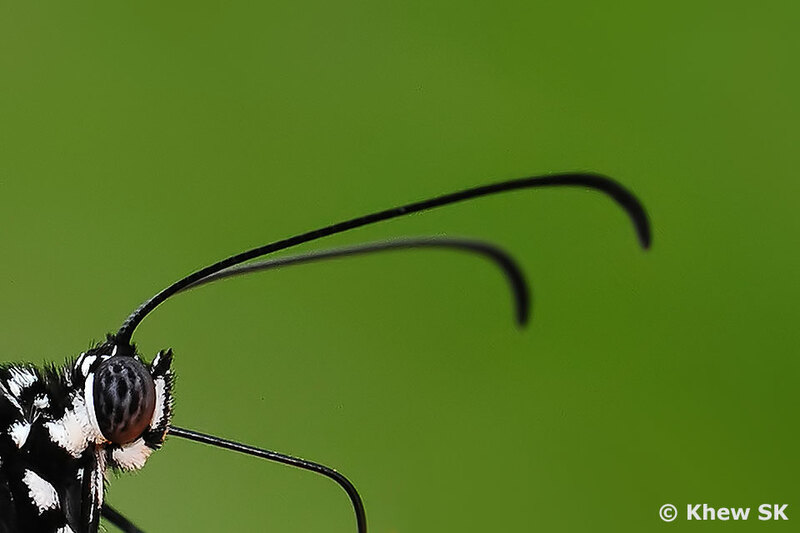 These segmented antennae are known to serve different functions that aid the butterfly to smell, navigate, balance, find a mate, detect flowering plants and even tell the time of the day! The antennae is an important organ of the butterfly that, if missing or damaged, the life span of the butterfly will be severely shortened. Butterflies don't have noses as we humans have. 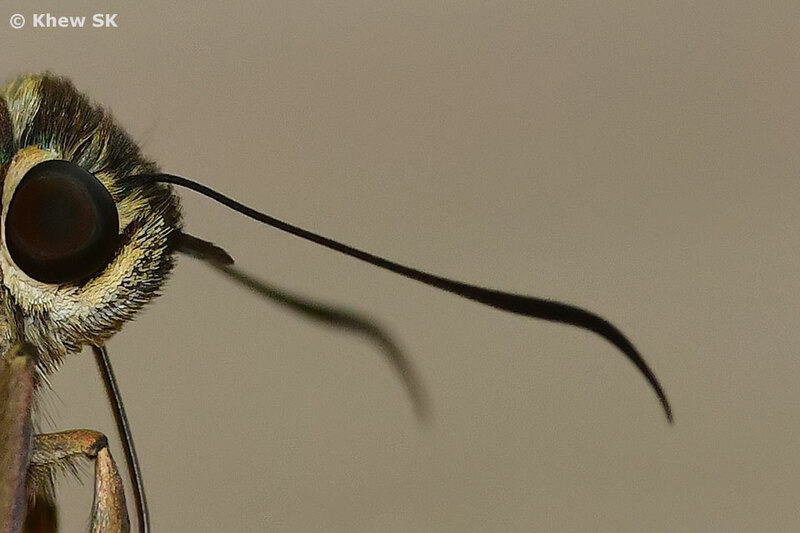 However, they have chemo-receptors in their antennae and legs that perform the sensory function that is equivalent of a "nose". 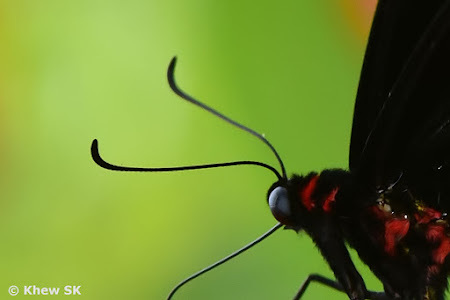 These allow butterflies to sense flowers that are full of nectar and distinguish them from flowers that are not as productive for the butterfly to visit. The antennae's chemo-receptors that are used for assessing the environment’s physical and chemical properties also sense the pheromones of other butterflies, helping them find mates across large distances. 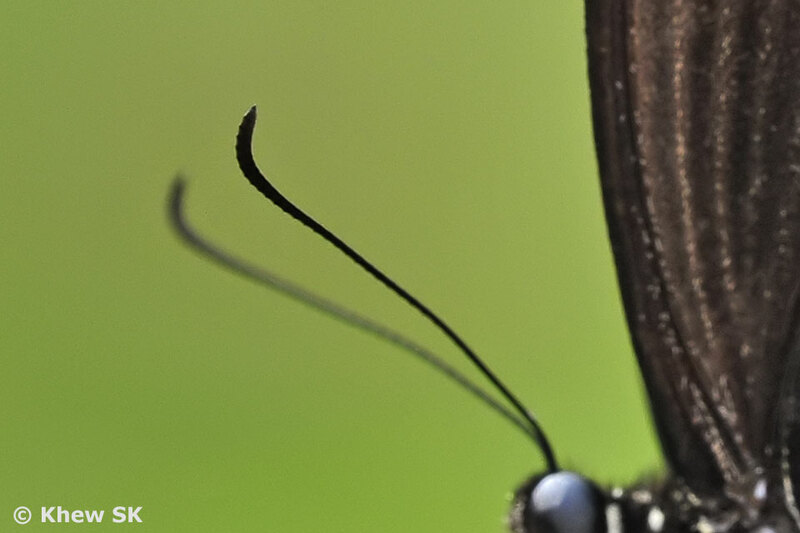 The butterfly's antennae are also sensitive to wind directions and changes in the velocity of the wind. 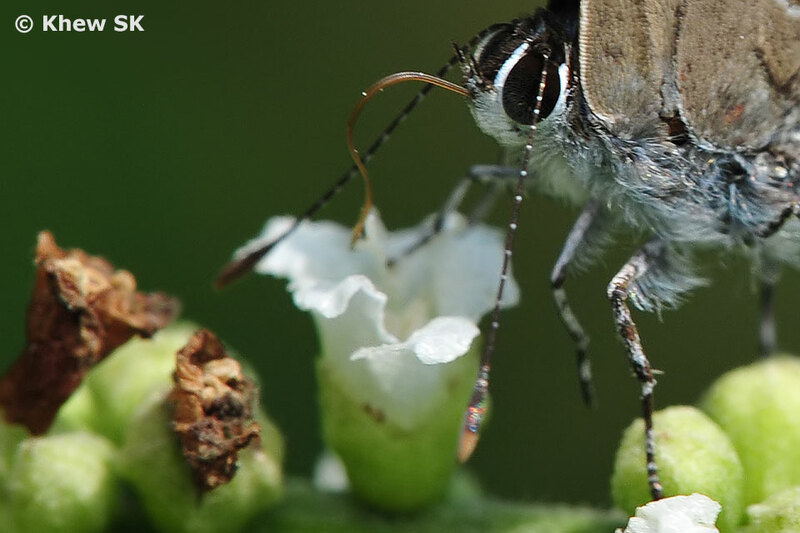 This helps the butterfly ride the wind currents and maintains its way-finding ability. 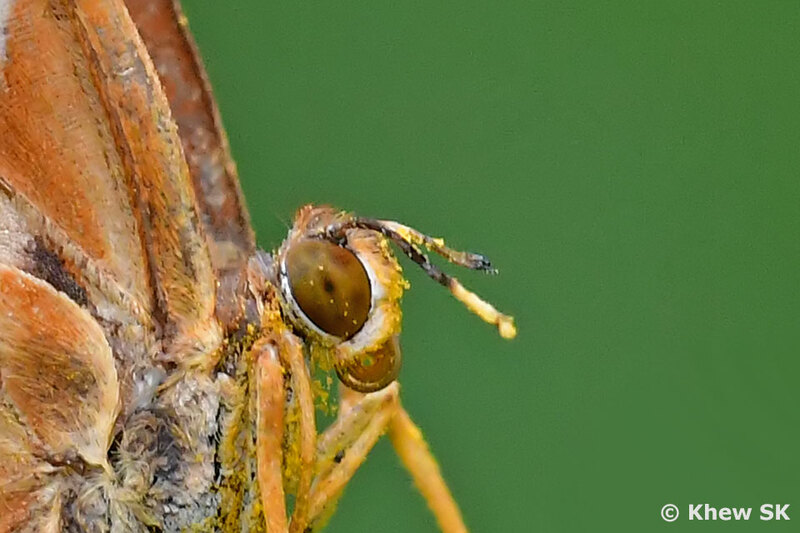 Near the base of the antennae, in the 2nd antennal segment, there is a special organ called Johnston's organ. 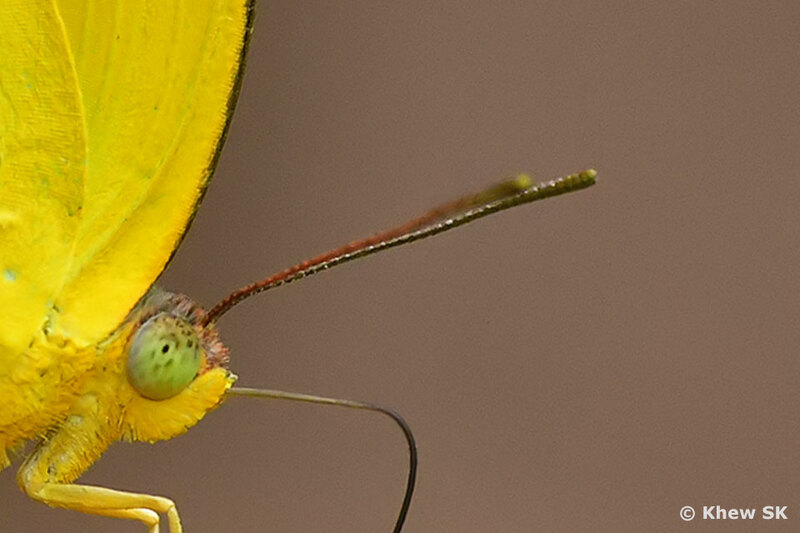 This organ draws information from the antennae to help the butterfly maintain its balance and orientation during flight. 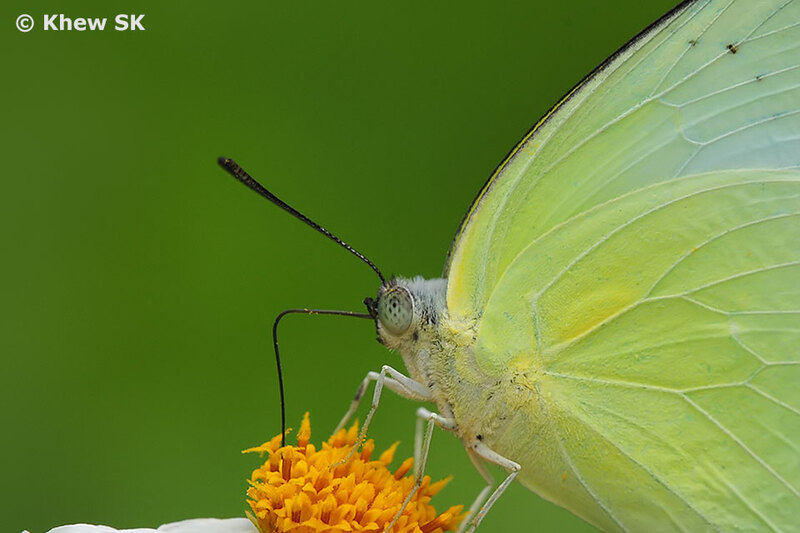 This organ also helps butterflies find mates as well, recognizing the wing beats of other butterflies of the same species. Without its antennae, a butterfly may be unable to fly in a particular direction and even end up flying aimlessly in circles. 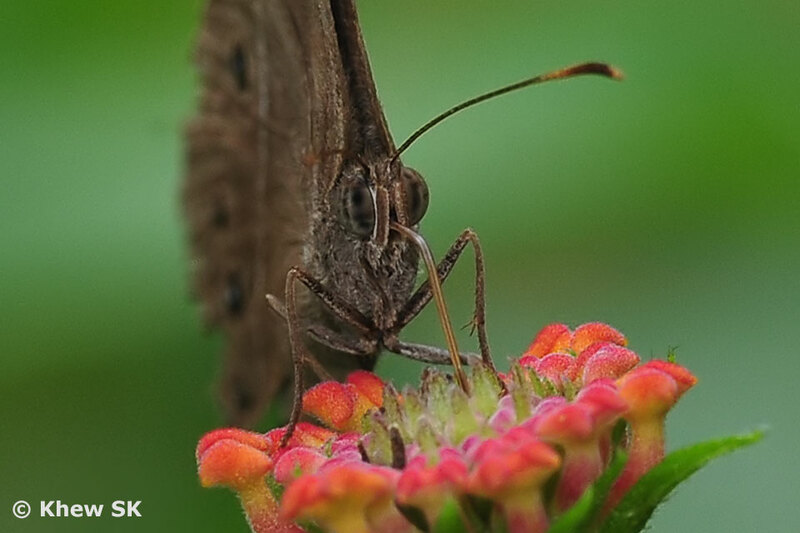 Butterflies are usually active during the day, but become sedentary and stop to 'roost' when night falls. Besides using their eyes to distinguish day from night, butterflies also use their antennae as light receptors. From research done, it has been found that the antennae track the position of the sun and turn that information into a time of day. 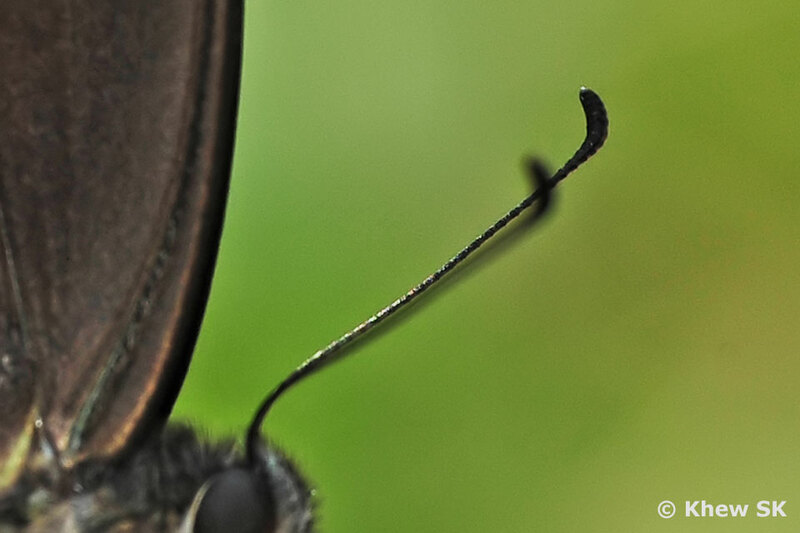 When butterflies lose their antennae, they aren't able to determine the time of the day. 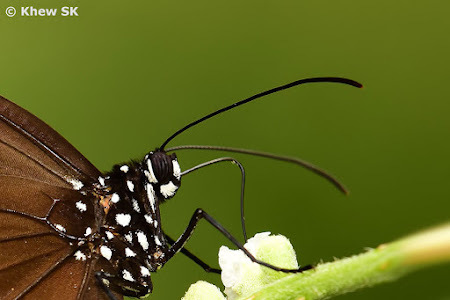 In a research conducted by biologist Steven Reppert of the University of Massachusetts who published a paper in Science, discovered an interesting outcome when he clipped off the antennae of the butterflies. When the butterflies lost their antennae, they no longer flew in a uniform direction. 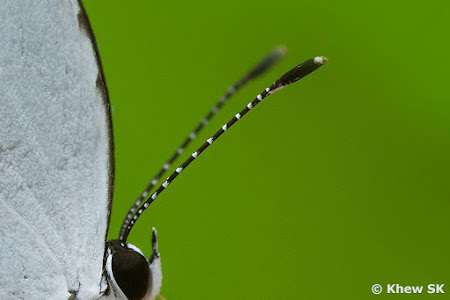 Without their antennae, the butterflies were unable to track the position of the sun. The butterflies lost the ability to navigate using the sun to ascertain the time of the day, and could no longer adjust their direction. 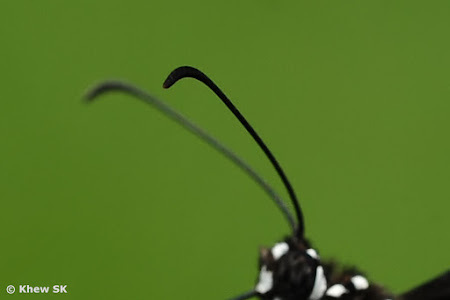 An important function of butterfly antennae is their ability to help the butterflies fly in the right direction. 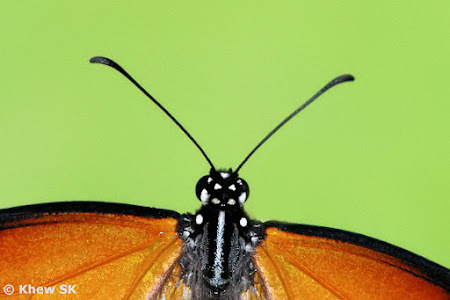 This is especially important for migratory species, such as the Monarch (Danaus plexippus). 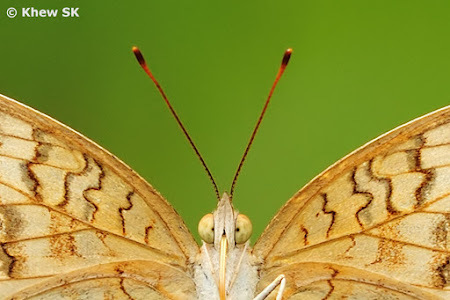 These butterflies must know the correct direction to fly during a specific season, such as flying south for the winter. 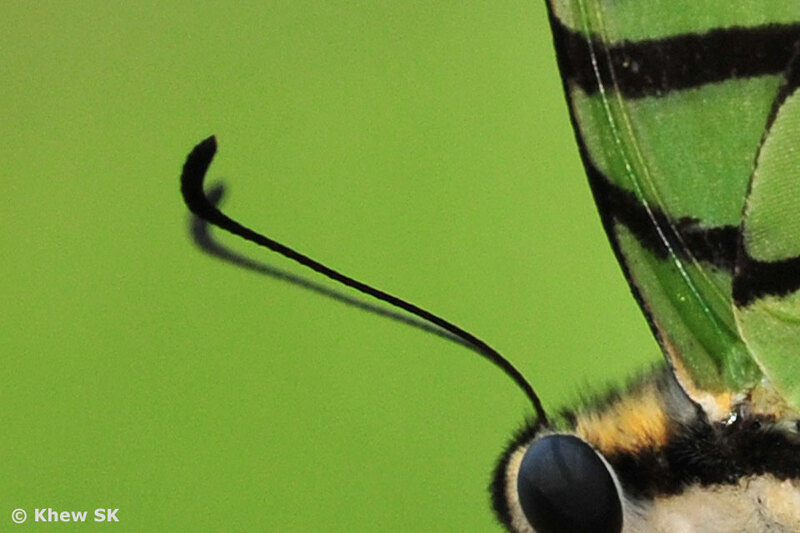 This tends to work in conjunction with the clock feature; to keep flying south, for example, the antennae must determine what time it is and where the butterflies must be positioned relative to the sun's position in the sky, performing like a built-in GPS system for the butterfly. 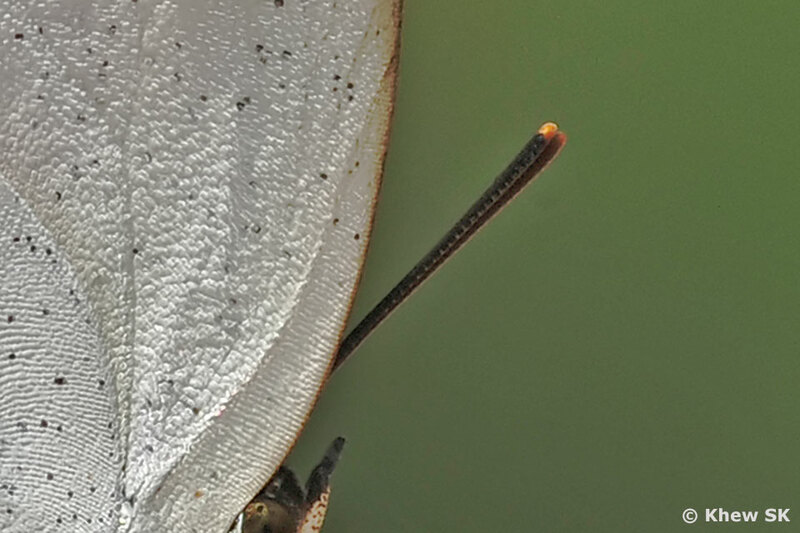 In Singapore, there have been occasions where a local species, the Lemon Emigrant (Catopsilia pomona pomona) have been seen to fly in groups across the island in a particular direction in the morning, and then fly in numbers again, in the opposite direction in the evening. Now we know some of the functions of the butterfly's antennae. 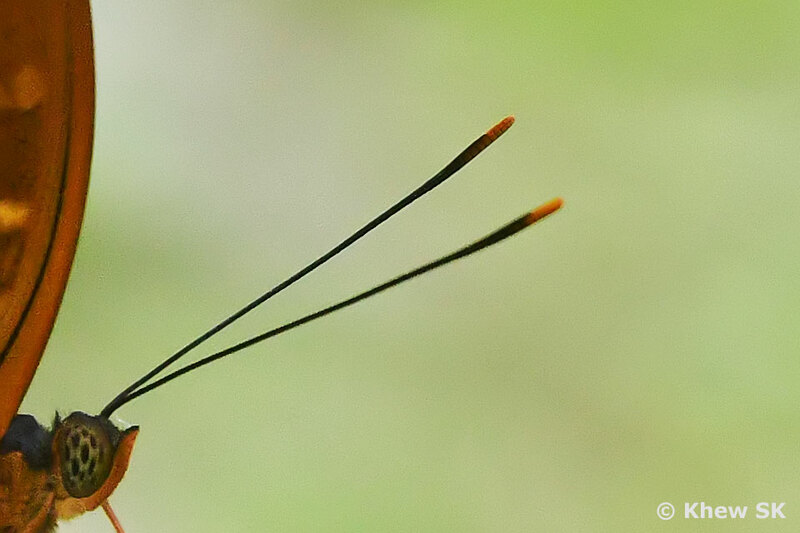 But do all the antennae look the same amongst the different species? 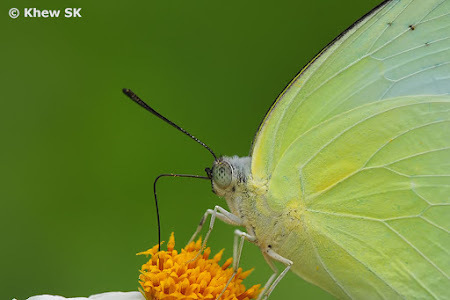 From observations across the different species in the different families of butterflies here in Singapore, the simple answer is no. 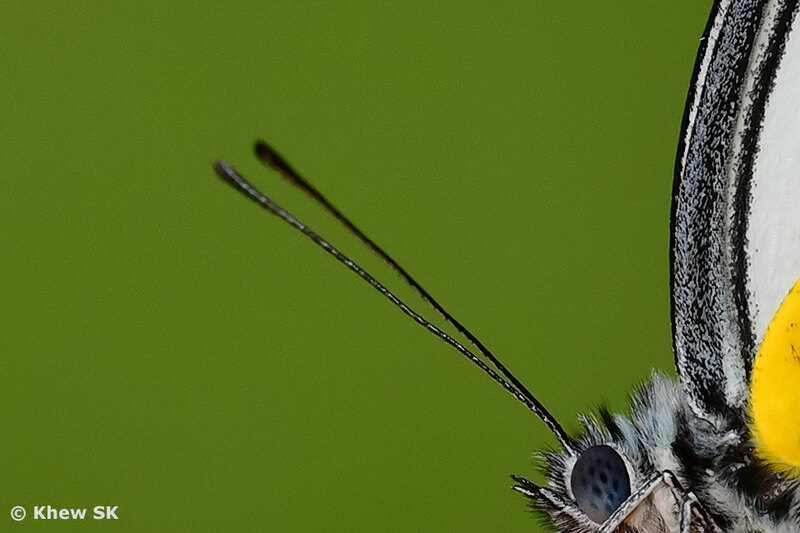 Besides being clubbed, the antennae of different families of butterflies show minor but interesting differences. 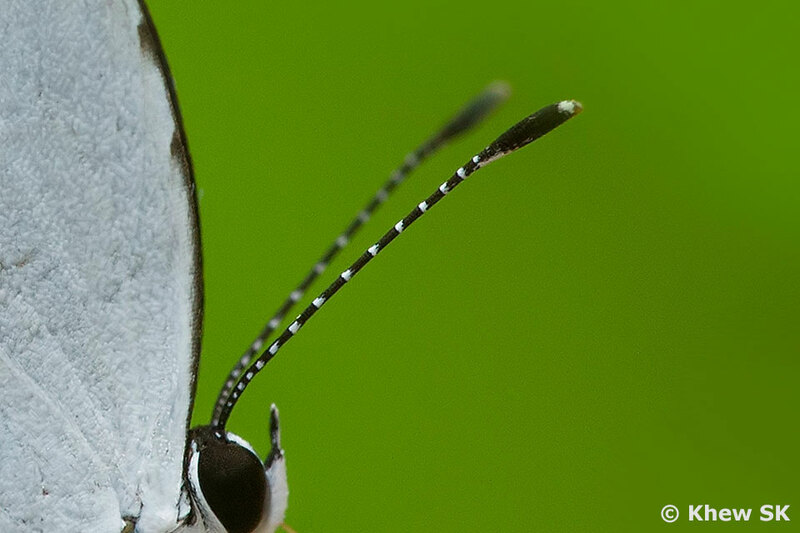 Have you noticed that the clubbed antennae of Papilionidae butterflies curve upwards? 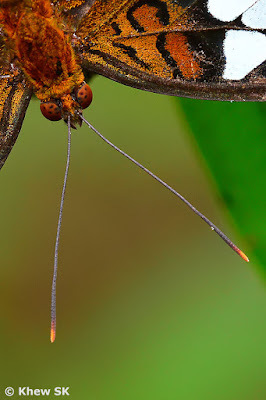 Amongst the species of the Papilionidae, the clubbed end of the antennae for many of the species curve upwards away from the horizontal. Besides being usually jet black in colour, the clubbed end of the antennae in these Birdwings and Swallowtail species are thick and show a distinctive curve at the tip of the antennae. But the clubbed antennae of the Danainae butterflies curve downwards? Compare this curve with the Danainae species. 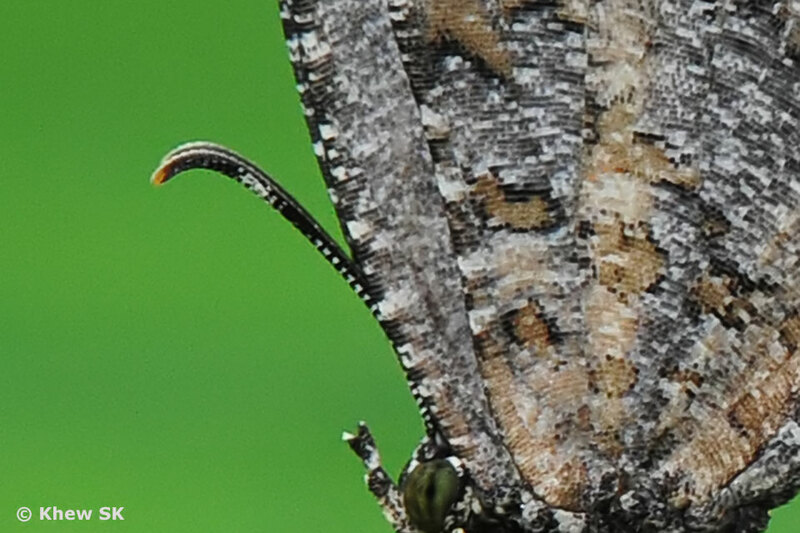 Many of the Crows and Tigers' antennae also show a curve, but the curved end of the clubbed antennae usually bends downwards instead. Is there a reason for this difference between these two groups of medium to large sized butterflies? The Pieridaes' antennae tend to be short and rather straight, ending in a clubbed end without any marked curve, unlike those found in the Papilionidae and Danainae species. 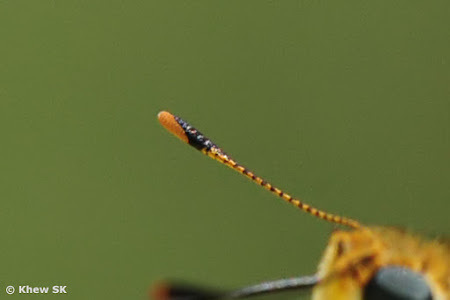 The same can be said of the antennae of many of the Nymphalidae species, where the antennae are straight with a simple clubbed end without any bends in the antennae. 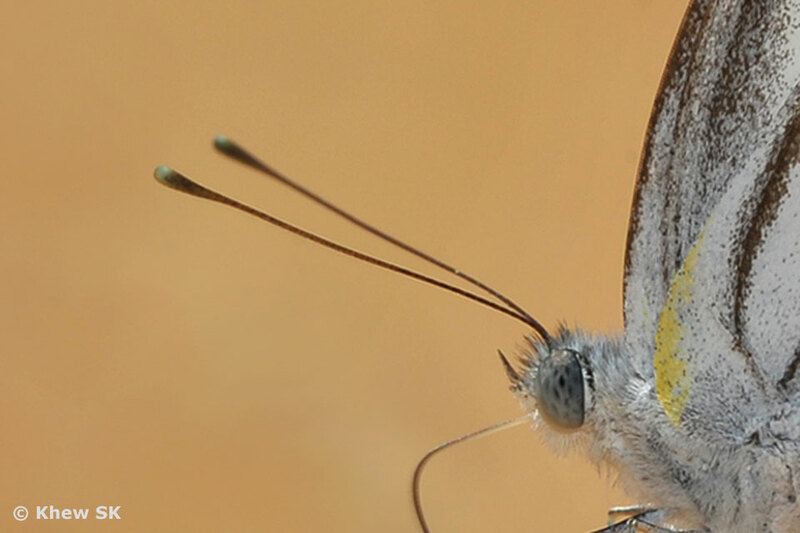 Many of these species also have a coloured clubbed tip - usually orange or yellow. The Lycaenidaes' antennae have an interested banded appearance in many of the species - usually black-and-white and ending with a coloured tip. The short stubby antennae of the Curetinae (Sunbeams) are rigid and straight, usually with an orange-coloured tip. Amongst the Miletinae, some of the species' antennae end with a slight downward curve at the clubbed end. The Hesperiidae (Skippers) are known for their special 'hooked' feature in their clubbed antennae. 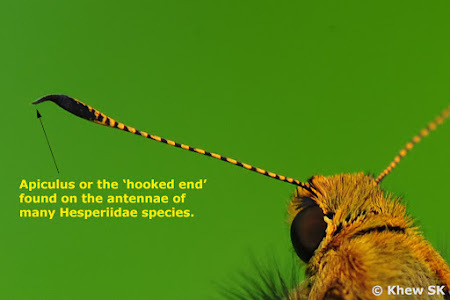 This terminal 'hook', known as the apiculus, is a feature that is present in many of the Hesperiidae species where the antennae ends in a sharp tip after the club. In many species, there is usually a different colour either before the clubbed end or at the apiculus, and these may be diagnostic features of some of the sub-families of skippers. Some species also sport banded appearance on their antennae with either black-and-white or orange-and-black colours. 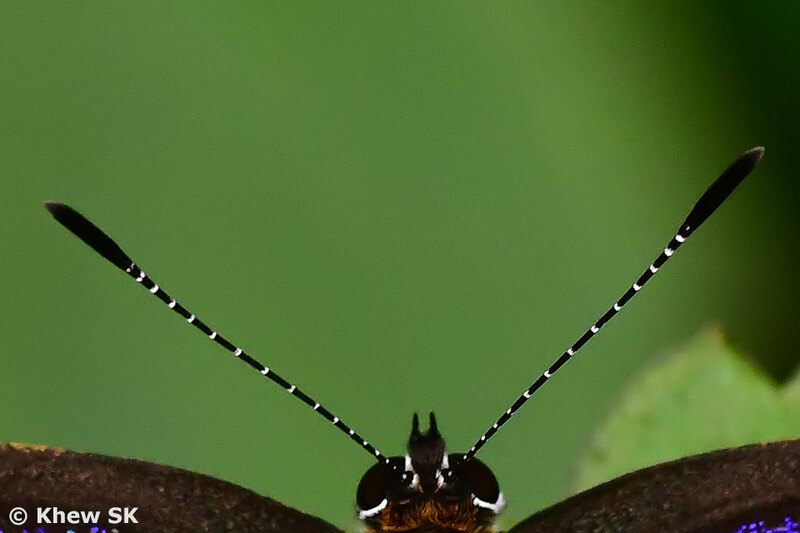 So the next time you go butterfly watching and are given an opportunity to study the antennae of the butterflies at close quarters, take a closer look at their antennae and note the differences amongst the different species of butterflies.